Welcome to Flamingo Banquet Hall. We are located on 3495 E. Flamingo Rd. Las Vegas, Nevada 89121. Our hall can seats up to 300 people. We are equipted with full kitchen, full bar, stage, dance floor, projector, lights & sound. We also offer private dressing room with shower for bride and family members. 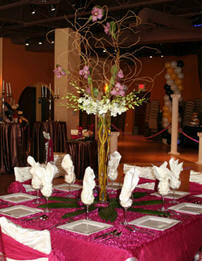 We could also do ceremony and reception at one location. We welcome any birthday party, sweet 16, la quincenera , baptism, anniversary, and corporate events.